Disneyland is to Mickey Mouse what Sanrio Puroland is to Hello Kitty. 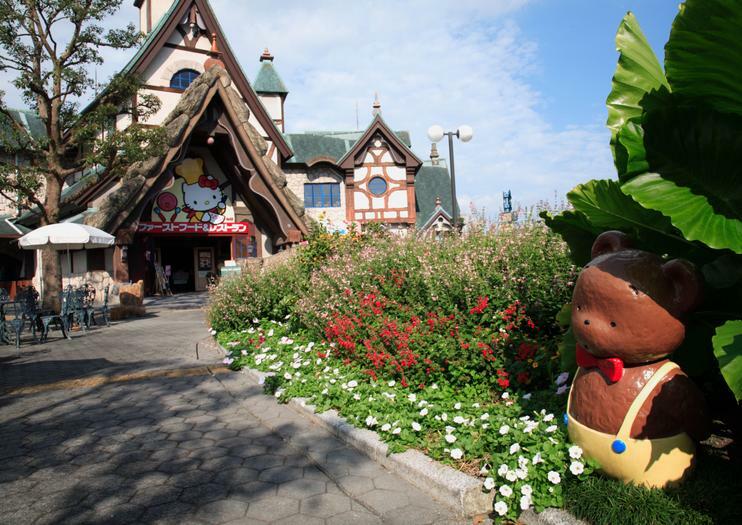 The indoor theme park on the western edge of Tokyo attracts 1.5 million visitors a year with its attractions, themed rides, restaurants and musicals based around the Sanrio company’s characters. Westerners may only be familiar with Hello Kitty, but Sanrio also came up with Jewelpet, My Melody and Cinnamoroll among others. Sanrio Puroland opened in 1990 to mixed reviews, but with a boom in Hello Kitty’s popularity, it’s now one of the most popular attractions in Japan. The park’s hypercute highlights include a life-size version of Kitty’s house, a boat ride filled with Sanrio characters and three theaters with daily live stage productions. Most attractions are aimed at a decidedly young demographic, so if you’re traveling with teenagers, you might be better off at Tokyo Disneyland and DisneySea. That said, if you’re a Kitty fan or merely want a closer look at a facet of Japanese culture that’s create a worldwide phenomenon, an afternoon at Sanrio Puroland might be in order.